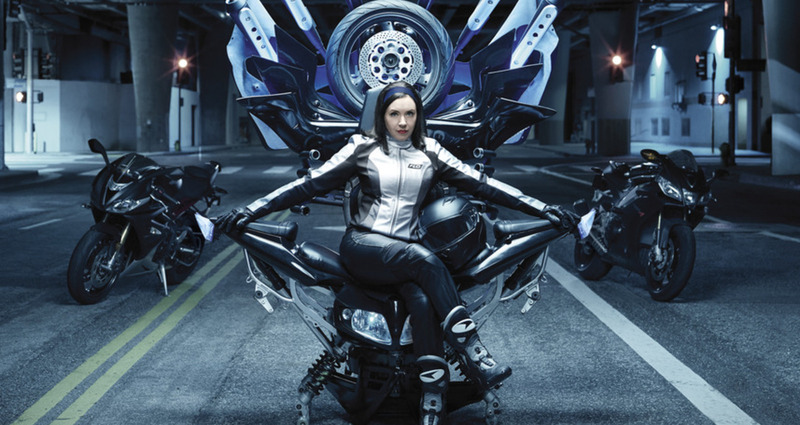 Progressive Insurance, in partnership with Arnold Worldwide, created a new print campaign to illustrate their leadership position in the motorcycle insurance category. To do so we took Flo, Progressive’s cheery spokesperson, and placed her into the world of badass motorcycle riders — sporting scuffed leathers, sleek riding gear and a ton of attitude. 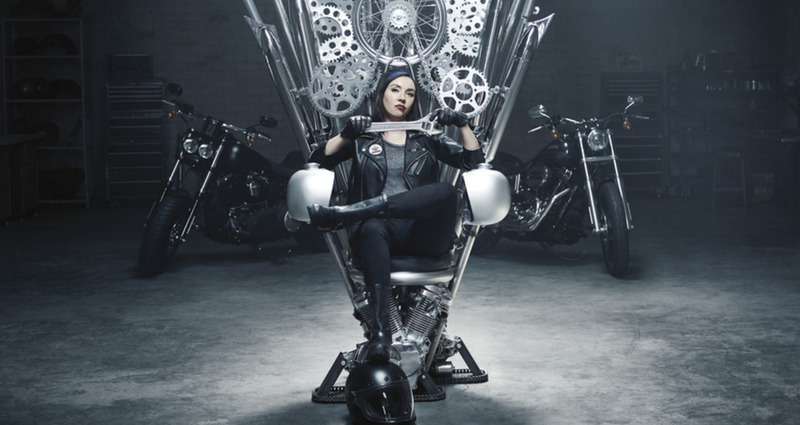 Flo is depicted sitting on three different thrones, inspired and built out of authentic motorcycle parts from actual cruiser, touring and sport bikes, under the supervision of Chase Stopnik, a custom bike builder based out of Los Angeles. 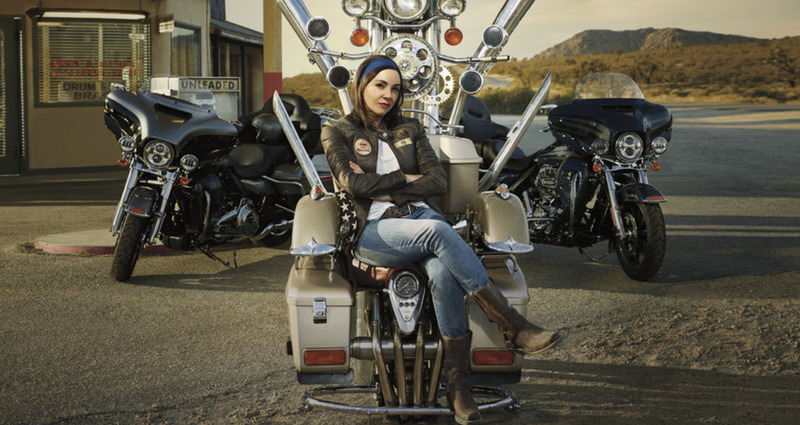 Beyond the print campaign, Progressive is bringing the thrones to motorcycle rallies across the US where bike lovers can take photos and interact with these beautifully crafted works of art.